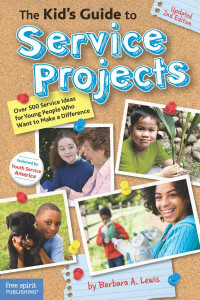 One of my favorite books that I’ve authored is The Kid’s Guide to Service Projects. This book is so much fun for educators, parents and students alike and provides many ideas and valuable insight on how to serve in the community. During my interview with Dr. James Sutton, we discuss youth oriented service projects, how to get kids excited and involved in service, and how each little project improves the world. The audio-only interview is available here.